Head injures are among the most serious types of personal injuries suffered. Those who are fortunate to survive a traumatic brain injury may be left dealing with physical and mental disabilities, which may affect them for the rest of their lives. These victims will require years of treatment and rehabilitation. According to a recent article from the Washington Times Reporter, a non-profit group is working to raise funds to send head injury victims to a camp where they can have a more enjoyable time during the rehabilitation process. At noted in the article, head injuries are caused by a variety of different types of accident and injuries. At around 40 percent, the vast majority of head injury, including traumatic brain injury, is a result of a fall accident. If you have been injured in a fall accident in the greater Boston area, you should speak with a personal injury lawyer to see if you have a premises liability case. While it is not hard to imagine how a fall accident would lead to a traumatic brain injury, it is somewhat more surprising that the second-largest cause of these types of head injuries, with a 20 percent frequency, is due to unknown causes. This could be because doctors are still working on the full workings of the human brain coupled with the fact that head injury patients may not be in the best position to give a detailed medical history pertaining to the cause of the brain injury. The next most common cause of traumatic brain injury, at around 15 percent, is from hitting or being struck by an object. This category does not include assaults, which account for an estimated 10 percent of all traumatic brain injuries. Being struck by an object or running into an object is often the result of industrial accidents. Obviously, motor vehicle accidents are also a major cause of traumatic brain injury and, according to research, account for just fewer than 15 percent of all cases. As for the camp program for brain injury patients, it is a one-week program that allows patients to spend time fishing, horseback riding, and other traditional camp activities under the supervision and with the assistance of trained medical and rehabilitation professionals to help keep patients from being injured. While this group is hosting a fundraiser to send patients to this camp at no cost to the camper, there is no question it can cost a lot of money to care for a traumatic brain injury victim, and this extensive care will be needed for many years following the accident. If a family member has been the victim of traumatic brain injury, you should speak with an experienced attorney who will fight for your rights to a full and appropriate financial recovery, so you can get the victim the compensation he or she deserves. 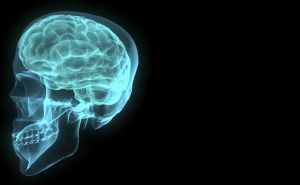 However, traumatic brain injury cases often require a lot of litigation and the use of various medical professionals and other types of expert witnesses. You should make sure your attorney is familiar with handling these types of serious personal injury cases.